Berger Cardoso, J., Goldbach, J. T., Cervantes, Swank, P., (2016). Stress and Multiple Substance Use Behaviors Among Hispanic Adolescents Prevention Science, Journal of the Society for Prevention Research Cervantes, R. C., Fisher,D.G.Padilla,A.M., Napper,L.E, (2015). The Hispanic Stress Inventory Version 2: Improving the Assessment of Acculturation Stress. Cultural Diversity & Ethnic Minority Psychology. Goldbach, J. T., Berger Cardoso, J., Cervantes, R. C., & Duan, L. (2015, November 9). The Relation Between Stress and Alcohol Use Among Hispanic Adolescents. Psychology of Addictive Behaviors. Advance online publication Cervantes, R. C., Berger Cardoso, J., & Goldbach, J. T. (2014). Examining differences in culturally based stress among clinical and non-clinical Hispanic adolescents. 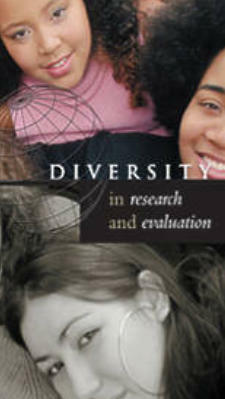 Cultural Diversity & Ethnic Minority Psychology. Cervantes, R., Goldbach. J. T., Varela, A., & Santisteban, D. (2014). Self-harm among Hispanic Adolescents: Investigating the role of cultural stressors. Journal of Adolescent Health, 55(5), 633-639. DOI: 10.1016/j.jadohealth.2014.05.017 Córdova, D., Ciofu, A., Park, K., Parra-Cardona, J. R., Holtrop, K., & Cervantes, R. C. (2014). The role of intrapersonal and ecodevelopmental factors in the lives of Latino alternative high school youth. Journal of Ethnic and Cultural Diversity in Social Work, 23(2), 148- 167. DOI: 10.1080/15313204.2013.809510 Cervantes, R. C. & Bui, T. (in press). Culturally Informed Stress Assessments for Hispanics. In K. Guisinger (Ed. ), Psychological Testing of Hispanics: Clinical and Intellectual Issues. American Psychological Association Press. Cervantes, R. C., Padilla, A. M., Napper, L. E., & Goldbach, J. (2013). Acculturation Related- Stress and Mental Health Outcomes among Three Generations of Hispanic Adolescents. Hispanic Journal of Behavioral Sciences, 35(4), 451-468. DOI: 10.1177/0739986313500924 Cervantes, R. C., & Shelby, T. M. (2013). Mental health issues for immigrant adolescents: Research and practice. In Grigorenko, E. L. (Ed.) Handbook of U.S. Immigration and Education, (pp. 163-178). New York: Springer Publishing Company. Cervantes, R. C., & Goldbach, J. (2012). Adapting Evidence-Based Prevention Approaches for Latino Adolescents: The Familia Adelante Program – Revised. Journal of Psychosocial Intervention, 21(3), 281-290. Cervantes, R. C., Goldbach, J., & Padilla, A. (2012). Using Qualitative Methods for Revising the Hispanic Stress Inventory. Hispanic Journal of Behavioral Sciences, 34(2), 208-231. Cervantes, R. C., Goldbach, J., Yeung, A., & Rey, A. (2012). Development of the Environmental Strategies Instrument to Measure Adolescent Alcohol Prevention-Related Outcomes in Community Settings. The American Journal of Evaluation. 33(1), 99-111. Cervantes, R. C., Fisher, D. G., Córdova, D., & Napper, L. E. (2011). The Hispanic Stress Inventory-Adolescent Version: A culturally informed psychosocial assessment. Psychological Assessment.Psychological Assessment, 24(1), 187-196. DOI: 10.1037/a0025280. Cervantes, R. C., Goldbach, J. & Santos, S. (2011). Familia Adelante: A Multi-Risk Prevention Intervention for Latino Youth. Journal of Primary Prevention, 32(3-4), 225- 234. Cervantes, R. C., & Córdova, D. (2011). Life Experiences of Hispanic Adolescents: Developmental and Clinical Considerations in Acculturation Stress. Journal of Community Psychology, 39(3), 336-352.